Through a $15 million grant from the U.S. Department of Agriculture’s (USDA) National Institute of Food and Agriculture (NIFA), an interdisciplinary public and private partnership will develop production, marketing and sustainable supply chain systems to commercialize jet fuel obtained by refining carinata oil. The project will be led by David Wright at the University of Florida. The team, the Southeast Partnership for Advanced Renewables from Carinata (SPARC), will identify and develop varieties of carinata that will thrive in the South and will develop systems to use and market carinata to produce jet fuel, feed for livestock and industrial chemicals while mitigating risks along the entire supply chain. Carinata oil is considered a nonfood oil. Researchers and UGA Cooperative Extension specialists from UGA’s Warnell School, College of Agricultural and Environmental Sciences (CAES) and College of Engineering will play a key role in the project and will receive $2.1 million in grant funding over the next five years. UGA faculty working on the SPARC project will tackle a wide variety of projects associated with the larger effort. 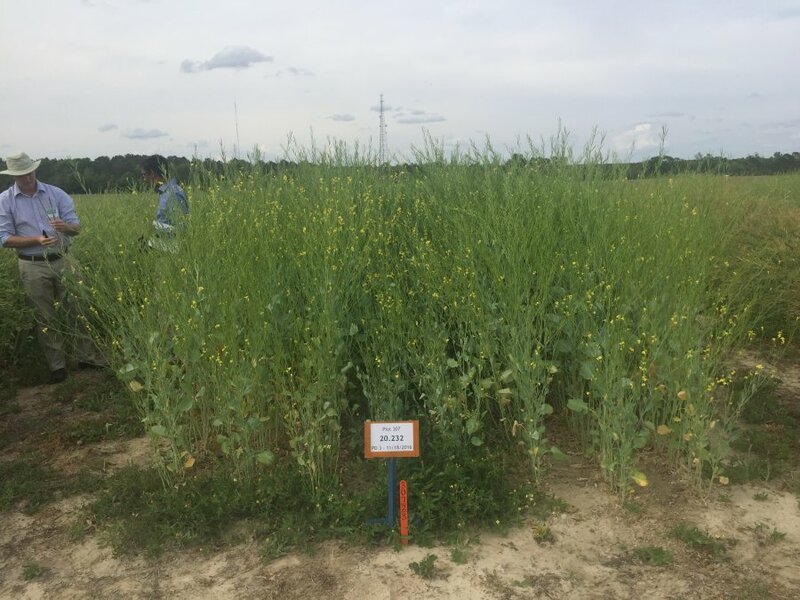 Dwivedi, UGA’s principal Investigator for SPARC, will evaluate the life cycle and economic impacts of carinata production, including direct and indirect markets and impacts of land-use changes. He will also optimize the supply chain to reduce the production cost of carinata-based jet fuel in the region. Additionally, he will develop a site suitability model for carinata production in the region. Bill Hubbard, Southern Regional Extension forester with Southern Regional Extension Forestry, will lead on the overall project. Daniel Geller, public service associate in the engineering college, and Greg Colson, associate professor of agricultural and applied economics in CAES, will work with Cooperative Extension personnel and farmers in Alabama, Florida and Georgia to develop on-farm research relationships with row crop farmers and build the knowledge base of Extension agents working with carinata farmers. They will leverage existing producer networks to organize trainings and educational events and develop Extension and workforce training materials that will be used support training efforts. Woo Kim, assistant professor of poultry science in CAES, will assess the efficiency of the carinata meal — a byproduct of carinata oil production — as feed for broiler production. Brian Bledsoe, Georgia Athletic Association Professor of Civil and Environmental Engineering in the UGA engineering college, will develop hydrology models for the proposed production area that will project the effects of carinata production on water supplies and runoff quality and quantity. Other partners in the SPARC project include Auburn, Mississippi State, Florida A&M and North Carolina State universities, the University of South Florida, the USDA Agricultural Research Service, Agrisoma Biosciences Inc., Applied Research Associates Inc. and Commercial Aviation Alternative Fuels Initiative. For more information about the SPARC’s research and outreach activities, visit sparc-cap.org.